← What do video game seizures look like? How reliable is photic stimulation testing? 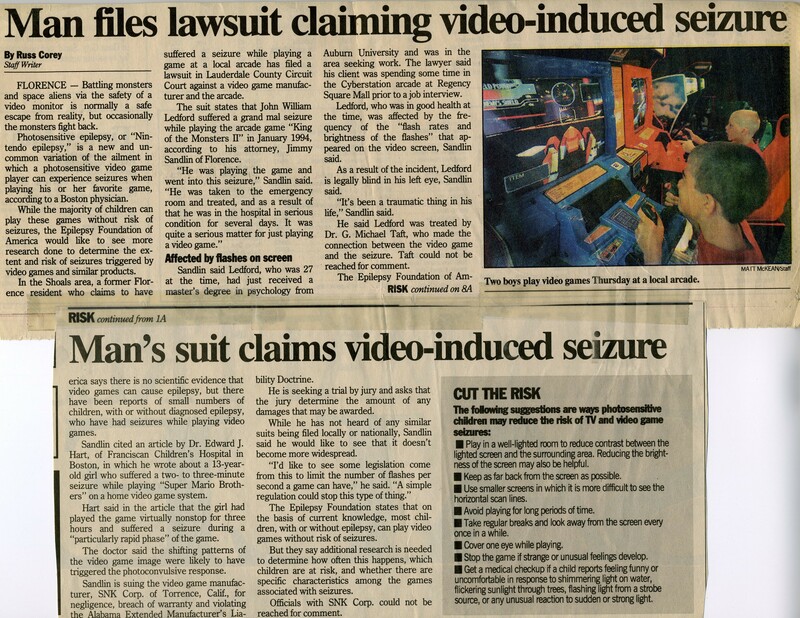 Most people who experience video game seizures have a condition called photosensitivity, whereby flashing or flickering light disrupts the brain’s normal electrical patterns and produces epileptic discharges. For these people a bright light flashing at certain frequencies (the number of flashes per second) can lead to the firing patterns of spikes and waves that occur during seizures. In the 1940s scientists discovered that a flashing strobe light can cause the brain to generate abnormal discharges that can be detected on EEG. So as part of a routine EEG, a strobe light flashing at a range of frequencies is placed in front of the patient. The procedure is called intermittent photic stimulation, or IPS. IPS is the most widely used method of assessing susceptibility to visually induced seizures. The EEG and patient are watched closely, and if abnormal discharges or unusual symptoms appear, testing at that frequency stops right away, before a seizure develops. Because photosensitivity is characteristic of certain types of epilepsy, the patient may have one of those types. However, some people who never have seizures of any kind produce these discharges in the presence of a strobe light. The assessing physician’s interpretation of the EEG—how abnormal are the altered wave patterns? Some people who have seizures from video games do not show an abnormal response to photic stimulation. After all, the experience of playing a video game isn’t the same as viewing a pulsating strobe light. Other diagnostic tests for sensitivity to the visual experience of playing a video game — the movement of patterns and rapid fluctuations of colors — have been developed but are not widely available. Update, 7/23/2014: Please read here about a new study that found only 6.2% of patients with a history of visually induced seizures showed a positive result on EEG during photic stimulation. I can absolutely understand your reluctance, especially given your own exposures that didn’t result in seizures…and it’s always possible they’re not giving you good advice. All the best. I have been undergoing investigations since Dec ’14. I had my first spontaneous tonic clonic seizure which I think was due to low blood sugar, fatigue and stress. I had an MRI which was normal however during my EEG they induced a stroboscopic seizure or IPS. I have now been told that they want to start me on anti-epileptic medication ASAP. 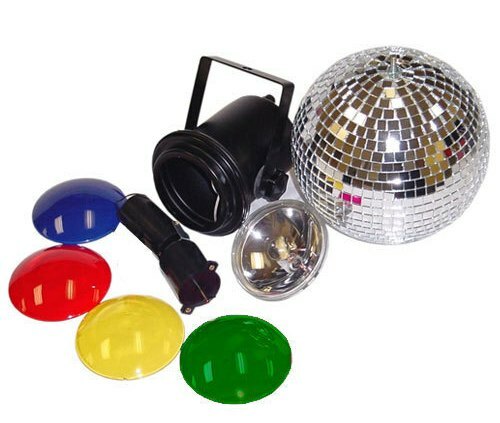 I have never had a problem with strobe lights e.g. Cinema, concerts etc. I’m reluctant to start the medication and be labelled an epileptic with just one test. Which after reading around your blogs relating to EEGs, there are a number of unreliable factors to take into consideration. Do you have any advice? I’m looking at paying privately for another test. It does seem odd that a seizure induced by IPS would be enough for them to recommend anti-epileptic drugs. On the other hand, they do the strobe test to provoke the brain into showing the presence of photosensitivity. (THey aren’t supposed to actually provoke a seizure; they are supposed to stop the test immediately upon seeing the beginnings of epilepsy waveforms before a seizure develops.) If what they saw on the EEG during your seizure looks like an epileptic seizure, they would have seen a seizure accompanied by an EEG showing epilepsy. According to the ILAE revised definition of epilepsy, 2 seizures more than 24 hours apart (even if they’re reflex seizures) qualifies as epilepsy. My experience has been that neurologists are very reluctant to diagnose epilepsy without EEG evidence. They don’t know for sure what caused your Dec. seizure and are therefore assuming that it could have been epileptic as well. Because epileptic seizures may not show up on EEG the test is not reliable for ruling out epilepsy. But EEGs do not (as I understand it) show epilepsy activity that isn’t there. It’s unusual for doctors to diagnose epilepsy without a pretty conclusive EEG. Is it possible you’ve recently developed photosensitive epilepsy? Recent as in, subsequent to any concerts or movies that had a lot of flashing light. If you’re under 25 or 30, photosensitivity might not have emerged previously. Older than that and you’re not likely to develop the condition if you haven’t already had it. I’m not sure what to suggest and wish I could be more helpful. Thank you for your response. I was 23 when I had my first seizure and then 24 when they induced one. I’ve sat in front of my computer with the homemade epilepsy tests on YouTube and nothing happened. I understand that it could be epilepsy but I’m struggling to believe it.